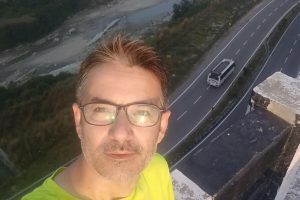 My running friend Dilawer Khan, who lives in Jammu, has just become an ultra-runner. 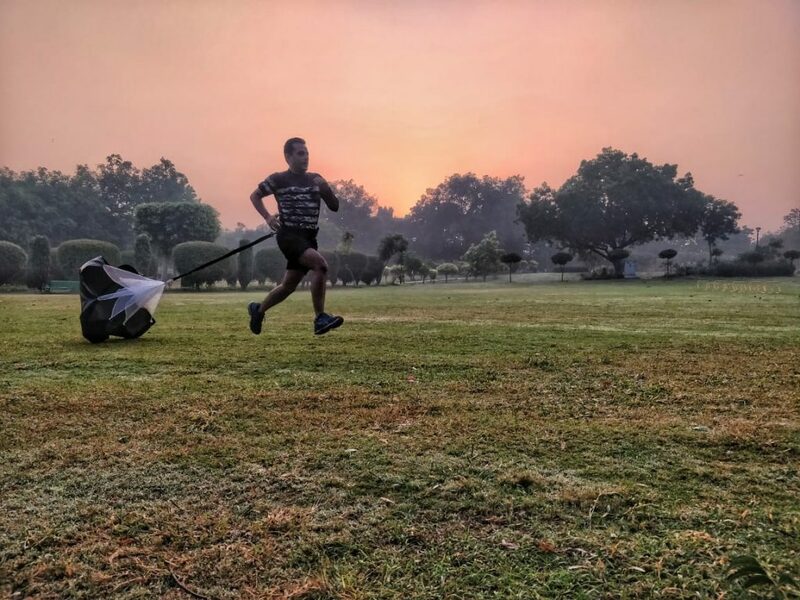 A week after running a super fast half marathon in delhi, Dilawer tackled a 63km run, and has thus moved himself into a new league altogether! 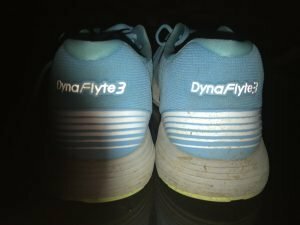 Congrats, my friend, and thanks for sharing your experiences in this vivid telling of your first ultra run. “It has been on mind right after some time I’d started running and now I’ve accomplished it- to run an ultra (anything beyond 42 Kms). 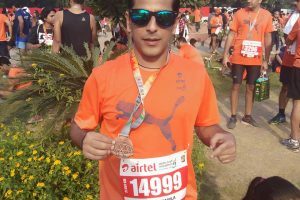 I started running in the year 2015 and ADHM was my first official race. Since then I’ve run around 15 half marathons, 2 full marathons and few 10k’s. With time I’ve been able to improve my pace and I’m only getting greedier. However at the same time I feel like running longer distances as well. 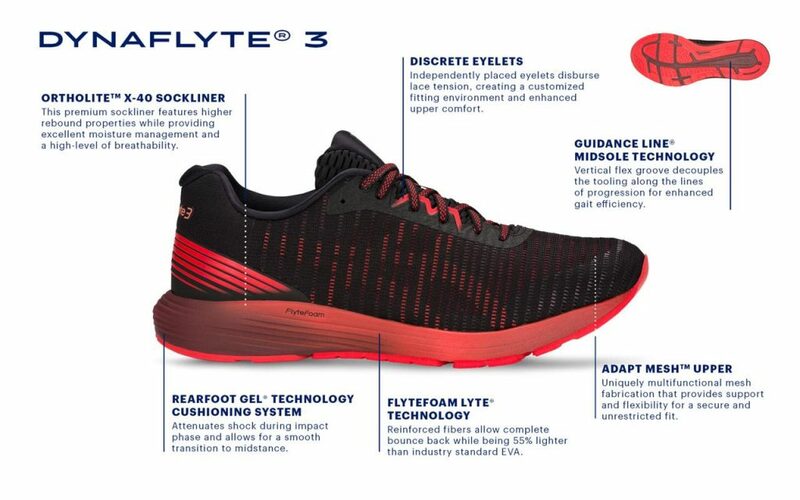 So basically need to strike a balance between distance and speed. This Sunday my team, Jammu Runners, planned to run an inter-city ultra run from Jammu to Udhampur(65 Kms approx). 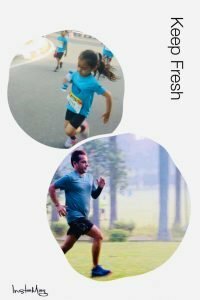 I was a bit sceptical about this as I had ran my fastest HM only a week ago (ADHM’18). Then I decided that I’ll take it as my usual Sunday LSD (long slow distance) run and see how far I could go. We, the group of 13 runners (everyone with his own set of targets) and 3 crew cars, started at 5 AM and it was perfect weather for running. With the brief flat/downhill start it was mainly a continuous uphill run till around 20 Kms on NH-44. So it was even slower than the LSD pace. The weather and the scenery around the highway made the ascent easier though the monkeys, our side spectators, did scare me at times. 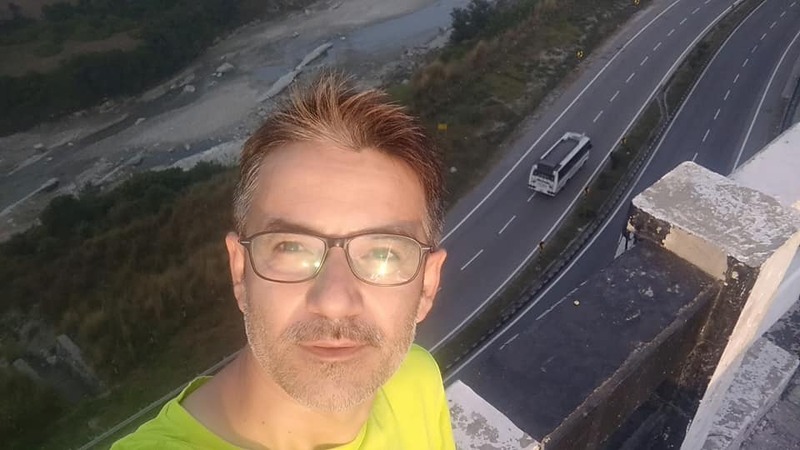 I crossed the highest point till that distance in around 2 and a half hours and it was the first time also that I crossed that toll plaza without paying anything . 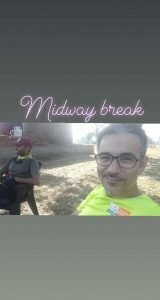 I along with my experienced ultra runner friend Gagan started with leading the run, were at the back of the pack now thanks to our generous stoppages and photo shoot sessions. After the toll plaza we ran through the mountains (thanks to the tunnels). There we came across a man on his cycle rickshaw coming all the way from Jalandhar to pay his obeisance to Vaishno Devi at Katra(power of faith). Thanks to our support team, we had been having proper supply of nutrition in the form of energy drinks, fruits and biscuits. After running for more than three hours and completing 22 kms we stopped for proper breakfast. After that it was kind of a picnic run, if I can call it so, with more stoppages and photo shoots. 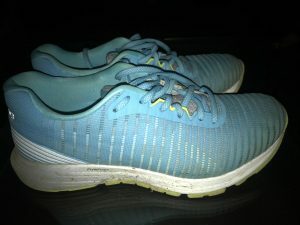 Without much fatigue and tiredness touched the mark of 30k, so my next target was full marathon. 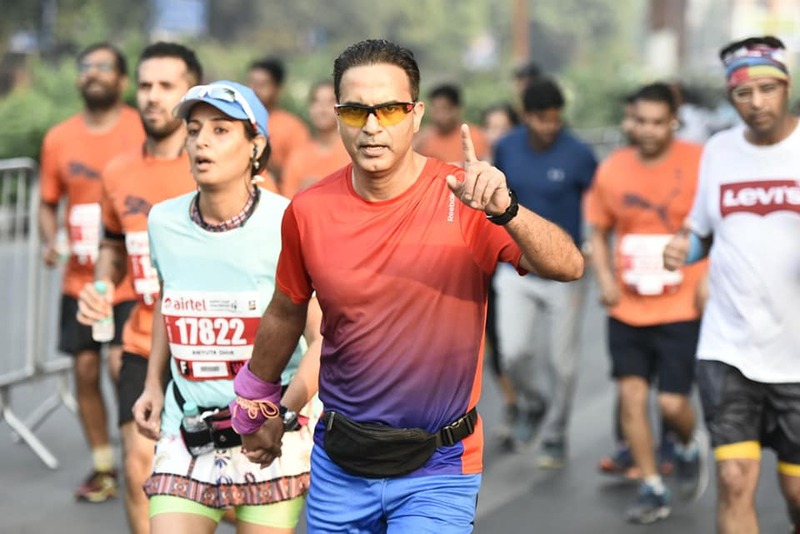 Some of the runners had already finished their run after achieving their respective targets and the leaders – Rajesh Padha (running 60k on his 60th birthday)and Mukesh(his first full/ultra marathon) had made the u-turn after touching the full marathon mark (they finished after completing 61kms). As we, Gagan and me, decided against U-turn(to add an inter-city run to our running profiles ) bid adieu to our crew captain and had to carry our bags now. After some more pics and more breaks and I crossed FM in around 5 hours (running time). Then the goal post shifted further to 50k(ultra). After 10 hours on feet and 7 hours of running time I touched my first ultra run mark. Honestly speaking there was no special feeling of jubilation or sense of achievement, as now I was eyeing to finish it at another town. Then we had our last break at 55k and set for Udhampur town. The sun was setting and it was getting colder now. Legs had started to show the signs fatigue. 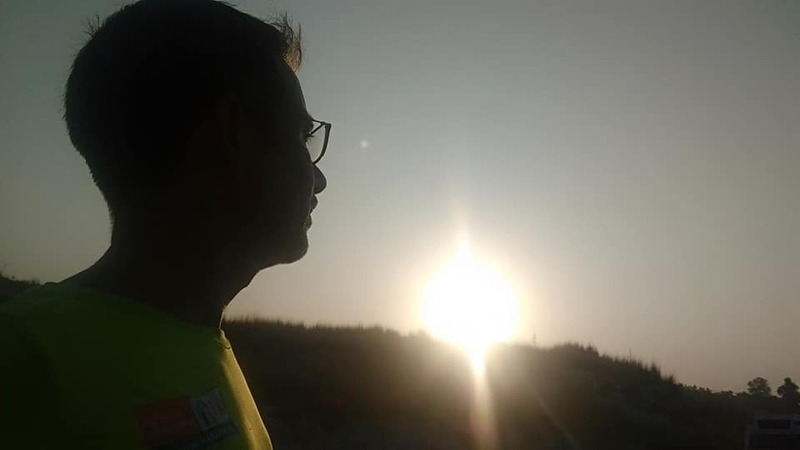 After running 62 Kms on the highway we took the left turn towards the town, finally the destination was in front of my eyes and we finished after 63 Kms with more than 12 hours on feet and almost 10 hours of running time. There I was with the feelings of joy and contentment or maybe no feelings at all. 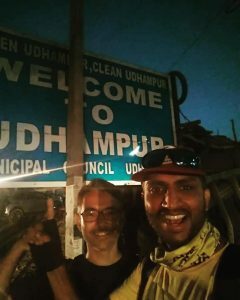 But now when I look back and go through that run again in my head I cannot believe that I have run from Jammu to Udhampur. Here I have to thank my friends who made it possible (and look easier). First of all Mr Rajesh Padha for making the plan and leading from the front, Rajeshwar for his unrelenting support on the way, Sandeep Singh for his energy injections (not literally!) and everybody who ran along with me. 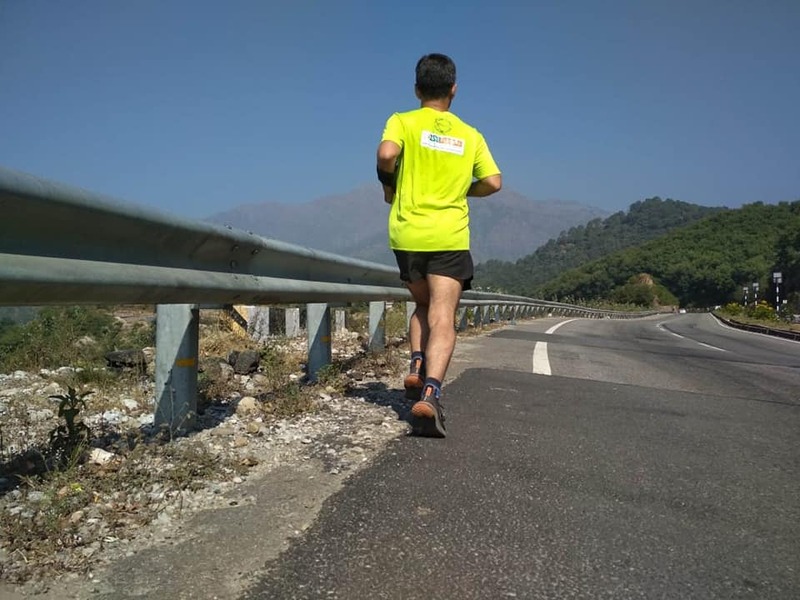 Last but not least, Gagan, who actually turned this ultra run into a fun run with continuous sharing of his prior ultra running experience, holding me back whenever the speedster in me tried taking over and everything he did to make it a memorable experience. Dilawer, my friend, I am speechless with admiration! Fantabulous achievement & I am super proud of you. #keeprunning #keepinspiring & the next time we meet in Delhi, you can buy me a coffee with the money you saved from the toll plaza! Here she is running her own race a couple of weeks ago, and please don’t miss the relative size of the water bottle to her! It looks to be about 20% of her size, bless her! “Running has never been my cup of tea.. It was never on my mind. But after being blessed with a beautiful daughter, I always wanted to take up some kind of sports for her but was always confused. 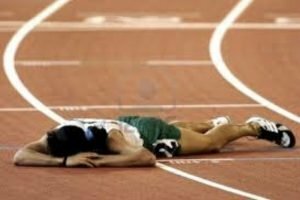 It was only when my 4 year old ran 100 mtrs in her school’s sports day and grabbed a silver, I decided to take up running.. 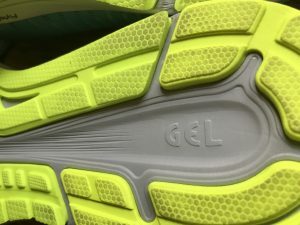 I still remember the day when a dear friend of mine, Ujjawal Gomber introduced me to this running group “ASICS running club” and then there was no confusions and no looking back. The credit for my first HM goes completely to my coach and mentor Vijay Shukla. 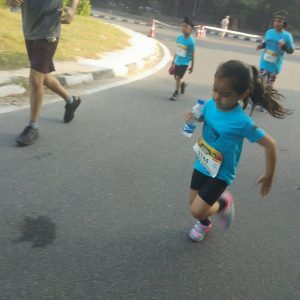 My daughter inspired me and he turned running into my passion. 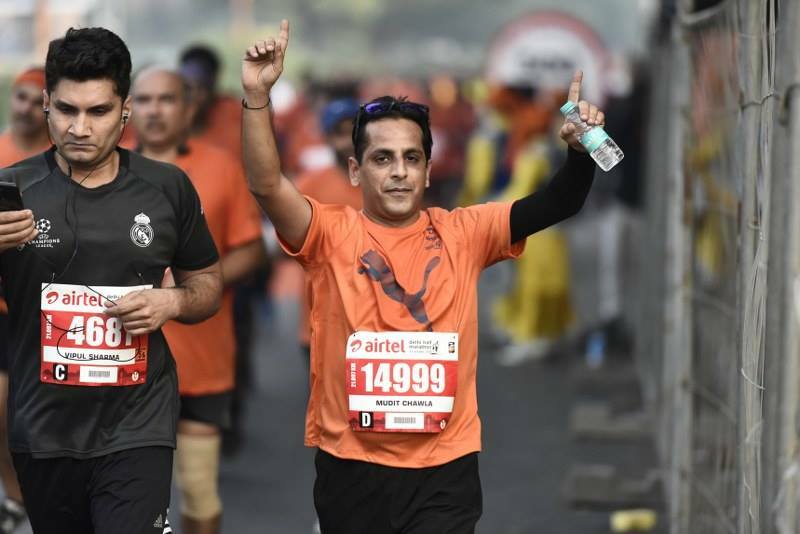 Since it was my first HM, I had a simple strategy – “Just run, Have fun and Enjoy the game” but Vijay Shukla sir made me believe “The harder the battle, The sweeter would be the Victory” and this is what I made my motto too while running 21 km. 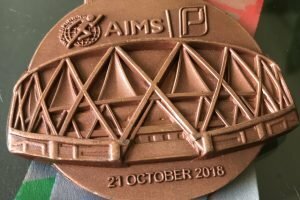 Unfortunately, I even had terrible ankle pain just 10 days before ADHM, which is constant till date but since it was my first HM, my team mates of ASICS running club (now my family) encouraged me to run and assured me that the pain I feel today will be the strength I will feel tomorrow. Mudit, well done on both your first half, and also your gung-ho attitude, running despite aches and pains. This photo, below, was taken on Saturday at our agility session. I think I speak for all my running mates, when I say that we all had great fun at a very different kind of training this morning. We did our usual warming up jog and stretching and drilling, but then we tackled a course laid out by our coach to test our agility. I had missed an earlier session of this circuit agility training several months ago, & so was super happy that we did it today. It was a bit like an obstacle course which we all had to tackle, with jumps and hops and more jumps. There was a baton relay which was GREAT fun. I had NEVER taken part in a baton relay, ever, and am therefore living proof that it truly is never too late in life to try something new! But the star of the exercises was parachute training, which is exactly what it says. 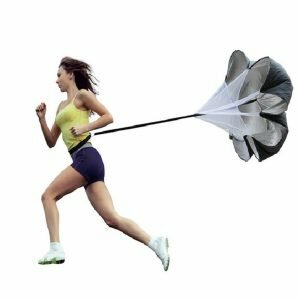 You sprint, wearing a small parachute. Mudit in action, above, against a gorgeous wintery sky. There is a small parachute, attached to a belt that you wear, and off you go running like the wind (in theory!!) with the ‘chute behind you, creating drag and making you work harder. You can see a little of how it fastens on, from the photo (left), I’m wearing a belt with the parachute behind me, and was waiting for Harry to film one of our team. The damp grass in the park wasn’t ideal, according to Coach, since it created resistance. I imagine dry grass or a track would be optimal. But the less than perfect conditions didn’t stop us all from having great fun. I checked online to find out a little more about this form of training. A perfect end to a week in which we all took things a little easier, as we recovered from the half marathon. Today’s training is, I suspect, the prelude to our next goal, as we all start working towards the many races happening over the winter. 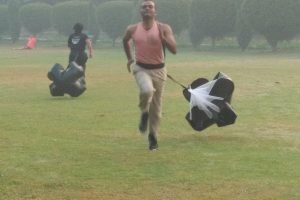 My running friend Rohit Manaktala has a lovely story from his 15k run in the Lodhi Gardens this morning. 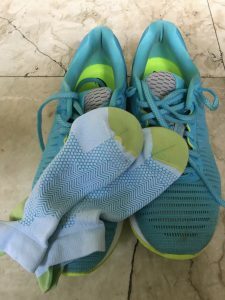 “As I finished my cool down walk after a nice 15k interval run at Lodhi today, I saw a car drive up with a beagle which looked exactly like Pixie, my neighbour’s dog, except he was not a she! I came to know from the lady, a resident of our colony, that the dog was found loitering outside her gate and she thought it was Pixie, and so brought him here only to discover the vital difference! 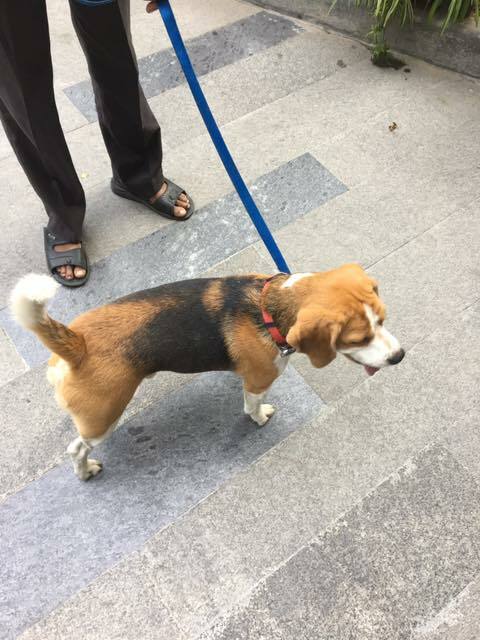 We had seen a beagle being taken for walks to Lodhi, so surmised he was probably from the adjacent colony. A couple of boys were sent to ask around and spread the word, and we also flashed the news on our colony’s Whatsapp group. Whilst waiting, we kept Casper (discovered his name later) busy by playing with/petting him, and also introduced him to Pixie who, after some initial alarmed barking, started sniffing each other and became quite friendly. 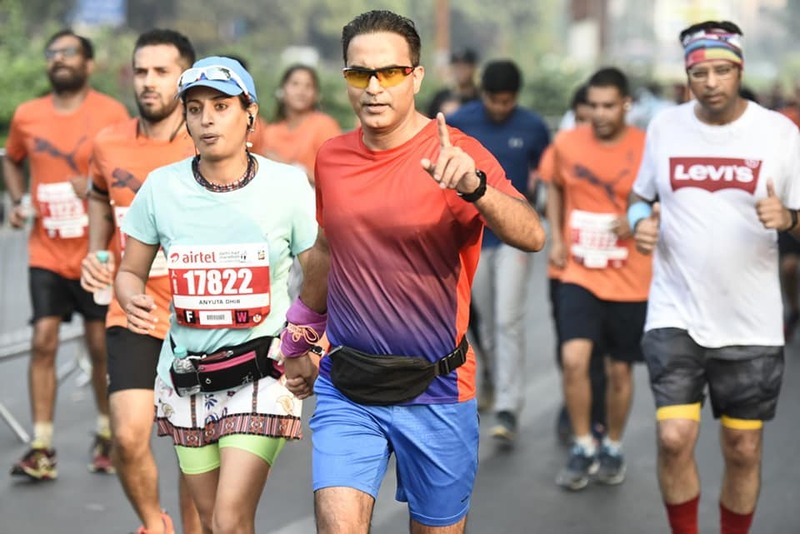 So what did we think of the 2018 Airtel Delhi Half Marathon? The half marathon was on Sunday. The results are out, the medals proudly flaunted on social media. We’ve all done at least one recovery run. The euphoria is still there, for sure. 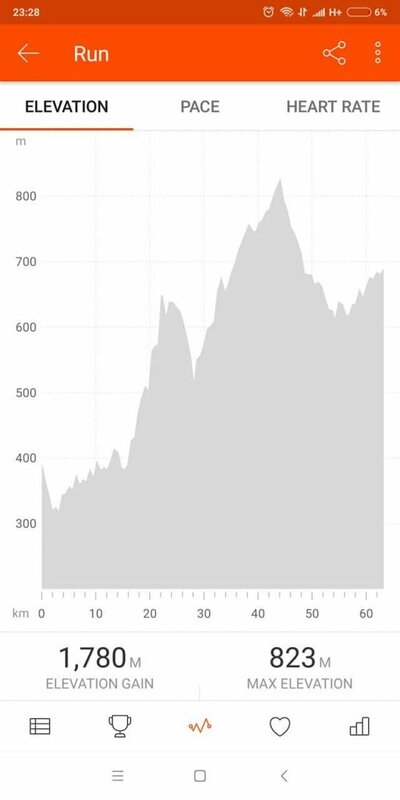 But I think emotions have calmed down enough by now, for a balanced assessment of the race to be made, and that it is now fair to do a short ‘n sharp balance sheet of this flagship race. 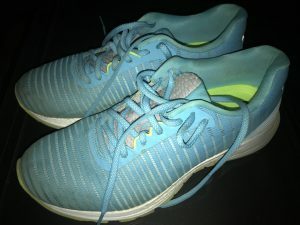 I’m not talking about running performance here – for example, mine felt good while I was running, but proved to be only average in the end. I’m talking about how a major event of this prestige and nature was conducted. We amateur half marathoners and – for the first time – 10k runners started at 5.00. Get up at…in my case 2 o’clock in the morning. The change of timing for our race was, I understand, so that the elites could start at 7.00 in order to beat the heat. The race was brought forward from November (it’s usual time slot) to 21 October, to beat the infamous Delhi pollution. I feel for the organisers, I truly do, trying to balance health vs weather vs pollution vs heat vs the elites vs TV viewership vs all we thousands of amateur runners. I feel for them. Truly. But 5.00 in Delhi in the winter is DARK. And the street lights were not enough. There were 2 stretches where it was downright dark and I slowed down to a snail’s pace, terrified I was going to trip. I know I wasn’t alone in this, because I’ve asked others. Dear organisers, if you’re going to make us run in the dark, then GIVE US EXTRA LIGHTING. It’s really not rocket science. Once it got light – about 5.50 – then everything was fine, and the temperature was brilliant. If we could’ve started at 6.00, everything would’ve been perfect. Water stations, energy drinks & snack stations (didn’t use them), medical stations (didn’t use them, thank goodness), music – all was great and as it should be for such a major event. One water station gave me my bottle opened and minus the cap which meant I wasted a lot of it and had to throw it sooner than normal, but that was the only niggle. No issues. Ditto for the timing mats. Everything just fine & dandy. I didn’t eat after the race. The thought of idlis and whatever, immediately after a run, does not appeal. I had a banana from the goody bag and headed home to eat. So I cannot speak to the food. I used the loo once, on Lodhi Road, thinking it would be OK so early in the race, since I was lucky enough to get an early start slot. No water in the flush nor in the tap. NO WATER IN A LOO? I leave you to imagine the stench, and the horror of having to deal with this in the pitch dark. 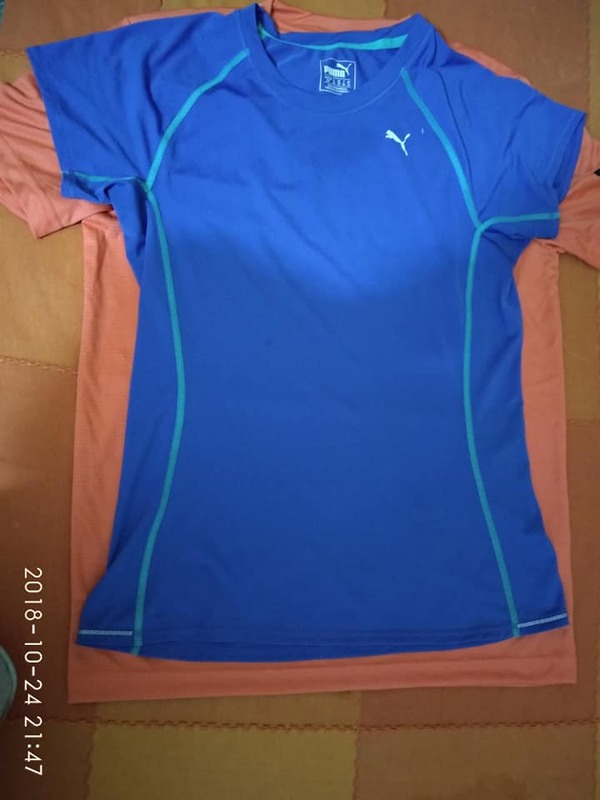 I collected my race T-shirt on Thursday, along with my bib, and (as in previous editions of this race) I gave the T-shirt away immediately to one of our staff. 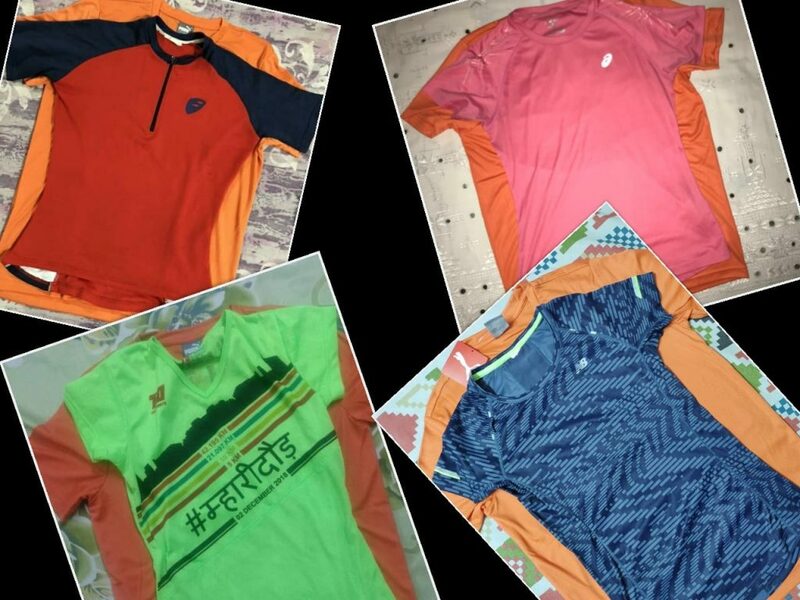 Yet again, women were given men’s T-shirts. 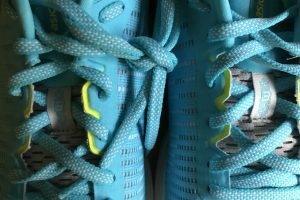 But this year, enough of us grumbled on social media to galvanise us all into doing something, and letting the race organisers and the sponsor know, that to treat women runners with such disregard is unacceptable. Many women are returning their Ts to the organisers. I’m not sending mine back because I’ve already given it away to our cook. I have no problem in his wearing it, none at all, but that’s not the point. Give women a woman’s T-shirt. Or let us opt out of a T at registration and reduce our fee accordingly. 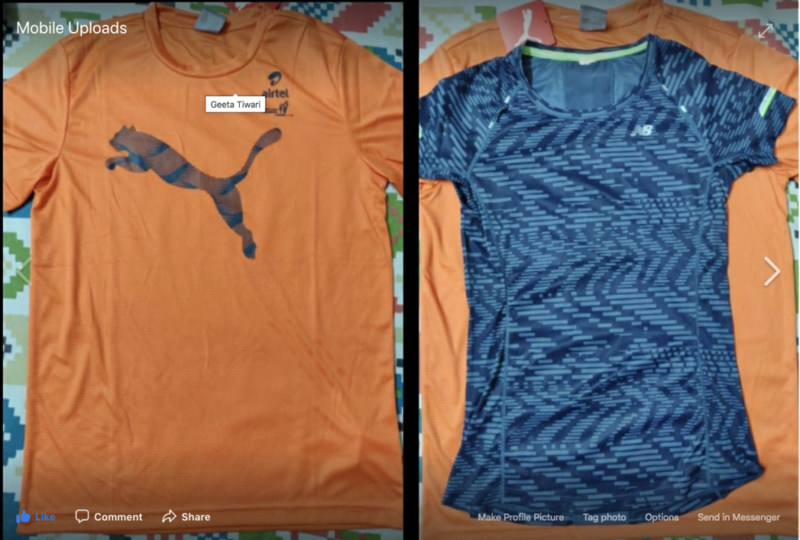 #Procam‘s utter disregard for women runners continues as we get Men’s fit #Puma tees again! Next year give all the men womens’ fit T-shirts and see how they like it. So well done Procam for that. But there are still things that must be addressed, like the fact there was no water in the toilets. And the oversized, mens Ts that irritated and alienated a lot of women. MY HOPES FOR ADHM 2019? Either a T-shirt that fits or the ability to opt out. Meet one super-duper exuberantly happy first time half-marathoner! 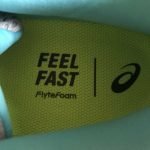 When I asked Anyuta Dhir, one of my ASICS Running Club friends, to share her thoughts on her first ever half marathon, I knew I’d get happiness. Anyuta is fairly new to running, and indeed only touched 13km for the first time at the end of August. Less than 2 months later, voilà! Her first half marathon. Done & dusted. This is a young woman with determination, grit, and oodles of enthusiasm and passion, and she totally deserves the joy of her first half. “They say LIFE IS AS BEAUTIFUL AS YOU MAKE IT….. 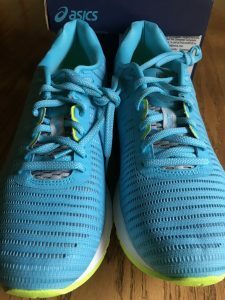 I realized more than that in this RUNNING GROUP that I joined just a few months ago. All the wonderful BEINGS I met….made me a RUNNER out of the FREE SPIRIT I never knew I HAD. List of Acknowledgement is endless….but today OUT OF NOTHING I AM A HALF MARATHONER….that too a first timer. How every, bit was contributed by these beautiful souls I met every morning…and today though I FEEL it’s me but I KNOW IT’s the CREATION of GOD that made me reach here and the VIA MEDIA his creations IN WHO I CALL FRIENDS. FULL OF LOVE, FULL OF JOY, HEALTH, and VITALITY not to mention the UNIVERSE FULL OF AFFINITY I GET. NO WONDER I REALISED THAT I RUN ONLY FOR ONE CAUSE AND THE CAUSE IS LOVE. 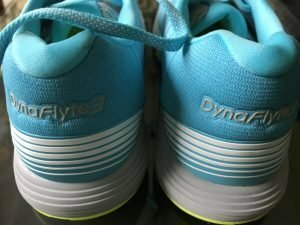 ONLY BECAUSE OF ALL MY RUNNING COLLEAGUES, COACH, GUIDING LIGHTS, INSPIRATION and FRIENDS. YOU ARE, SO I AM. Shabash, my friend, and here’s to many more races and even more joy! 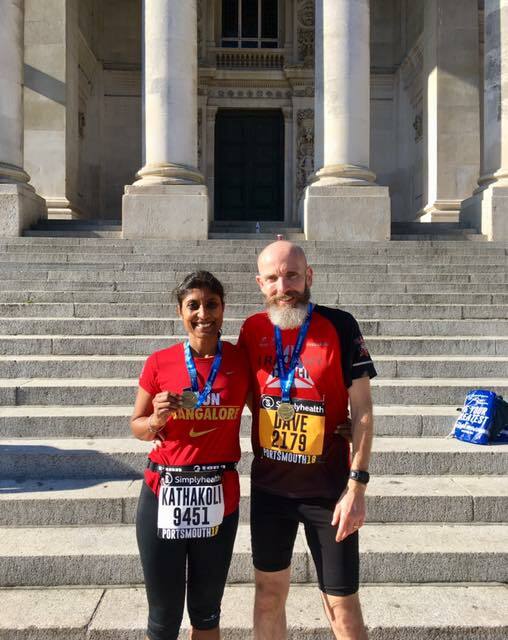 How I love these 2, Kathakoli Dasgupta, the gal who got me running 5 years ago, and her met-in-India hubby Dave Hogg. They both ran a race yesterday and they both share their stories here. I didn’t even have to badger them to write, bless ’em. By the way, you need to know that Dave was injured recently, by the way. “There are some races that you just do, some you are proud of and some that make you happy. Today’s Great South Run was the happiest I have felt during a race. The weather was gorgeous, the energy infectious, the music uplifting, the cheer from the crowds super encouraging. I did high-fives with every kid I could reach and was beaming throughout the 10 miles. Dave, as a fellow Brit, I applaud your totally British understatement – “not unreasonable time”. Arre, baba, you’re running after being knocked off your bike, and you do 10 miles in 1:20. Amazing stuff. And gotta love the Indian T shirts in action! Went to collect my bib today for Sunday’s Airtel Delhi half marathon, and was interviewed by a charming young man called Calvin. 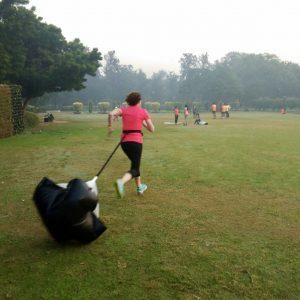 For almost 2 years now, I’ve been going regularly to a Delhi running group, twice a week. 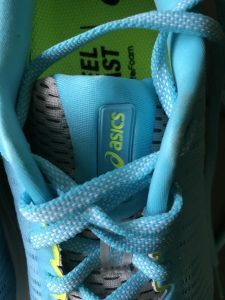 The ASICS Running Club was started just after the Airtel Delhi Half Marathon in late 2016, and indeed I attended their very first session, and have been a regular ever since, travels notwithstanding. Nearly 2 years on, & I have made definite progress in my running and overall fitness, that’s for sure. But I haven’t made spectacular progress. That’s also for sure. And the blame for that lies uniquely with me. I don’t train as much or as hard or as diligently as I should. For example, I still can’t do push-ups properly…note to self – need to restart that aborted 30 day push-up challenge I started a couple of months ago. Our Running Coach, Vijay Shukla, is dedicated, caring, and treats every runner with equal attention and courtesy. Which is why he deserves better than the performance I fear I’m going to give in this Sunday’s Airtel Delhi Half Marathon. I’m not really sure what is going on in my head and in my heart right now, but I’m feeling possibly the least confident and the least psyched-up I’ve ever felt before a race. 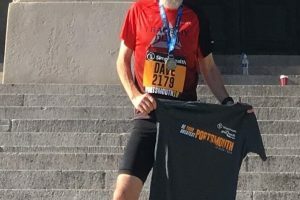 I have yet to get close to cracking a sub 2 half marathon, which is a sort-of magical figure for runners. My ‘average’ HM time hovers around 2:10, and so that elusive 1:59:59 remains just that. Elusive and, this year for sure, totally unattainable. It’s silly to be so fixated on a time, isn’t it? As if 2:05 is a ‘bad’ time. Or 2:10 or 2:15, for that matter. 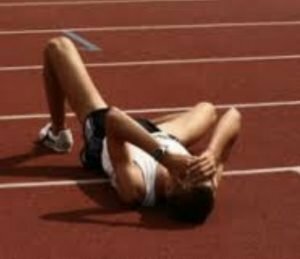 In earlier blog posts, I’ve chided people for apologising for their ‘slow’ timings, and yet here I am, already pre-apologising for what I suspect will be another creditable, but totally middle-of-the-pack performance. But not an outstanding performance. But, playing Devil’s Advocate here with myself, isn’t the mere fact of completing a half marathon outstanding in itself? Hells yeah, as my children would say. Stress about my ‘mediocre’ pace and not enjoy the race? Or enjoy the race and not stress about my ‘mediocre’ pace? This is the approach I intend to take on Sunday, Coach. I plan on enjoying my race, and not spoiling my enjoyment by stressing and fretting about a dream that won’t happen this year. I would like to do you proud, Coach, and turn in a great performance, but will you please accept a good, happy, enjoyable performance instead ?